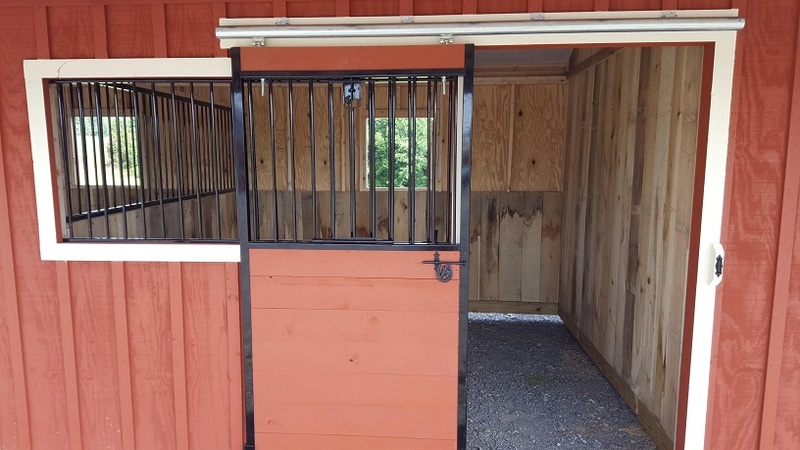 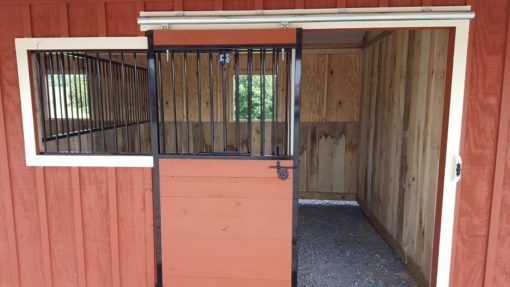 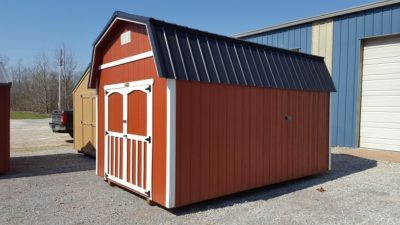 Divider Walls: Powder coated steel over 48″ high poplar hardwood kick board divider walls between the run-in and stalls. 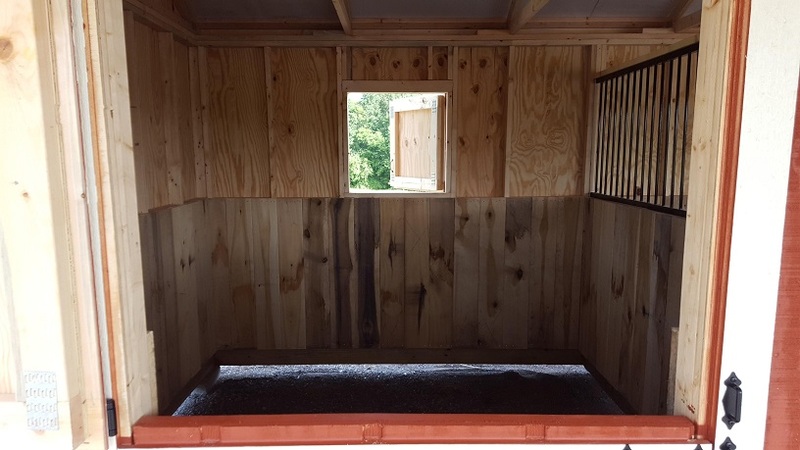 Solid wall between stall and tack room. 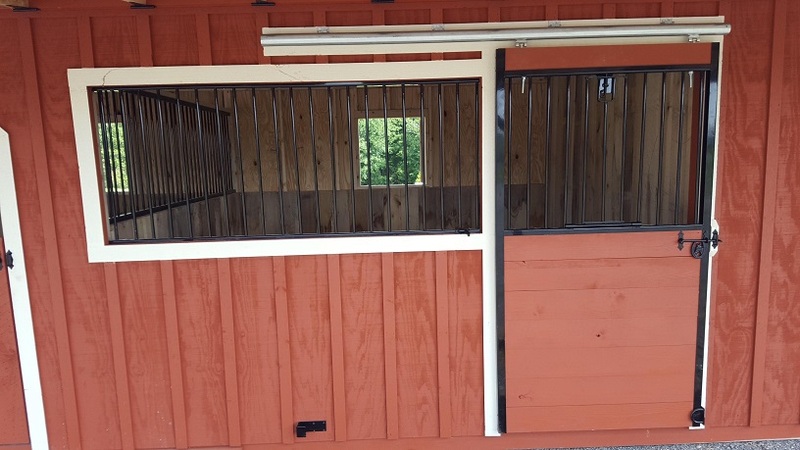 Stall Lining: Run-in and stalls lined with 48″ high poplar hardwood kick boards. 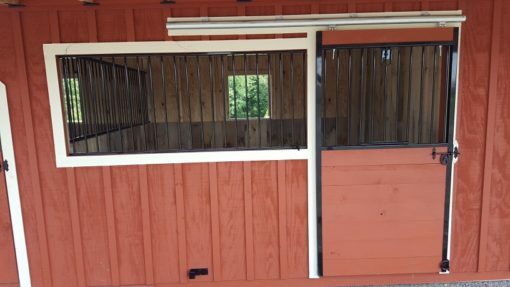 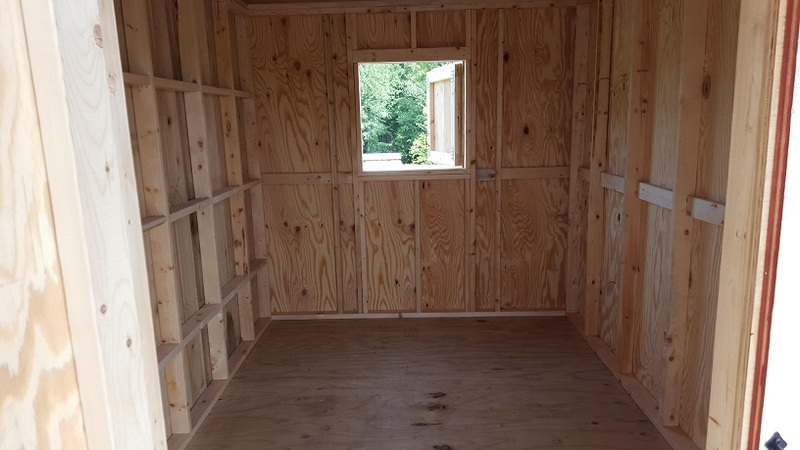 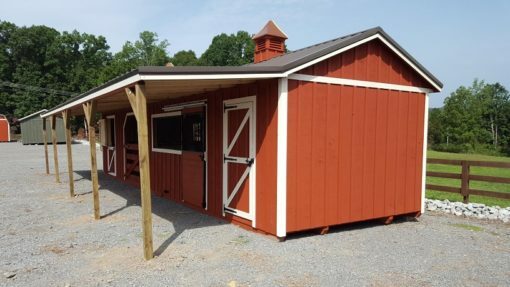 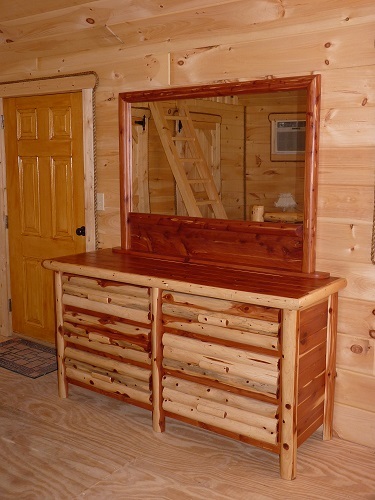 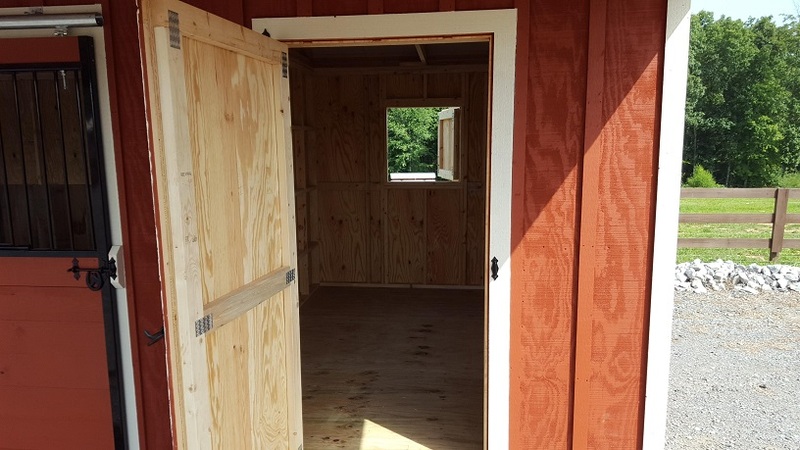 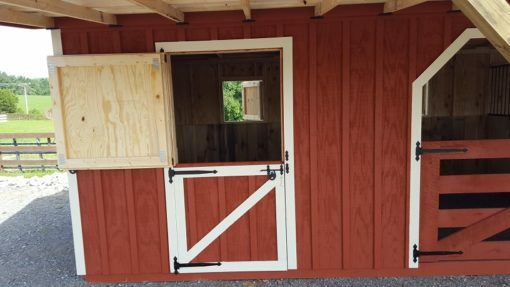 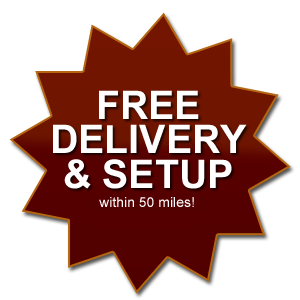 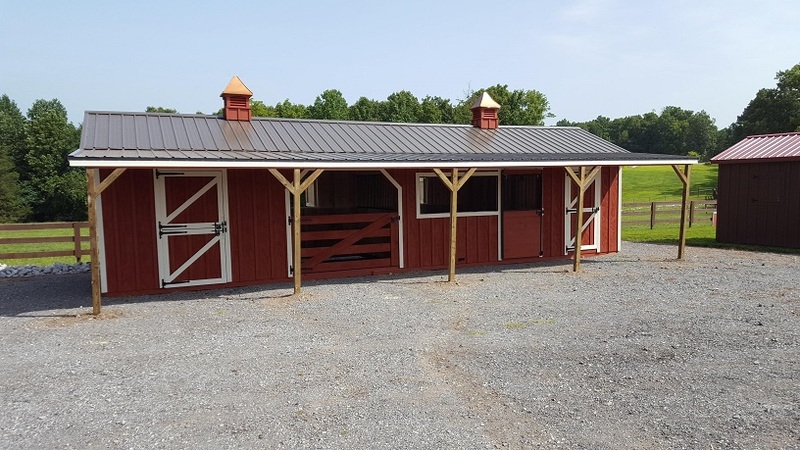 Windows: x1 30″x30″ hinged wood window in the back of the run-in, stalls, and the tack room. 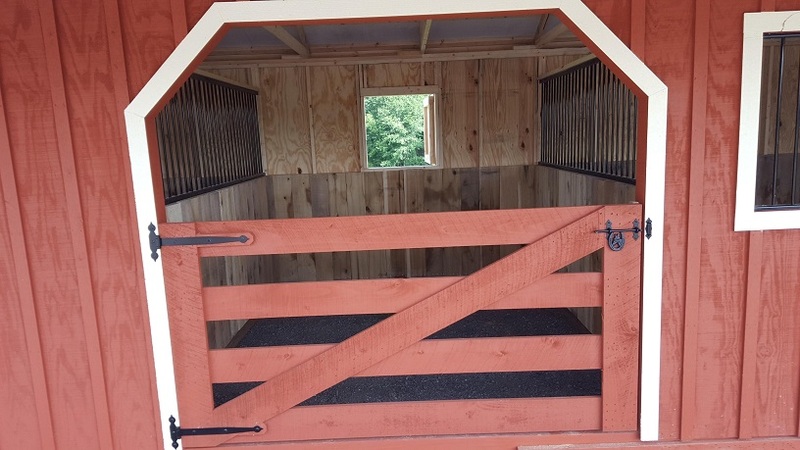 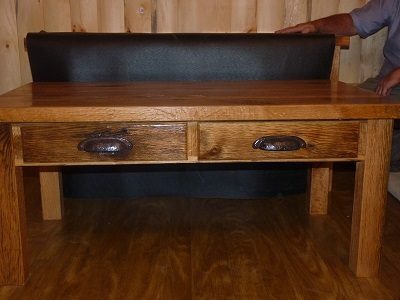 This is a display model that customers are free to look at to give an idea of the different options we provide for our stalls and run-ins. It isn’t currently for sale.